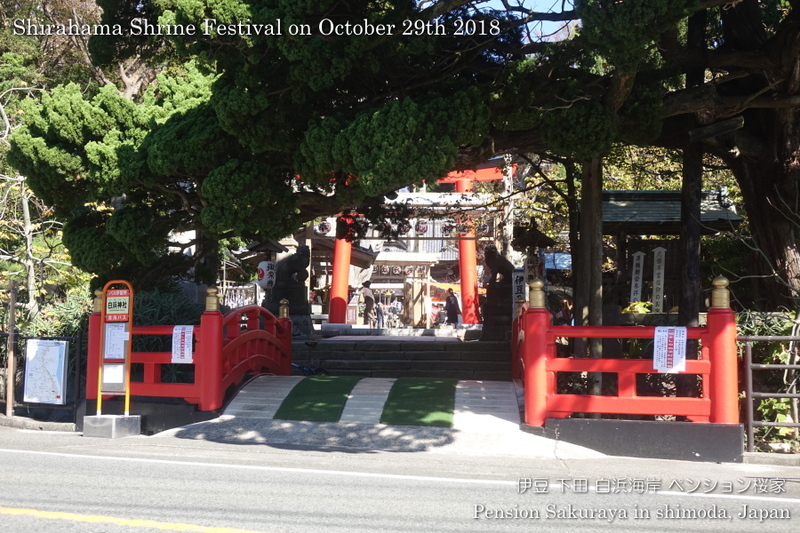 My family and I went to the nearst shirne called Shirahama shrine today for the first time this year to pray our health and goo luck after we finished cleaning the guest rooms. 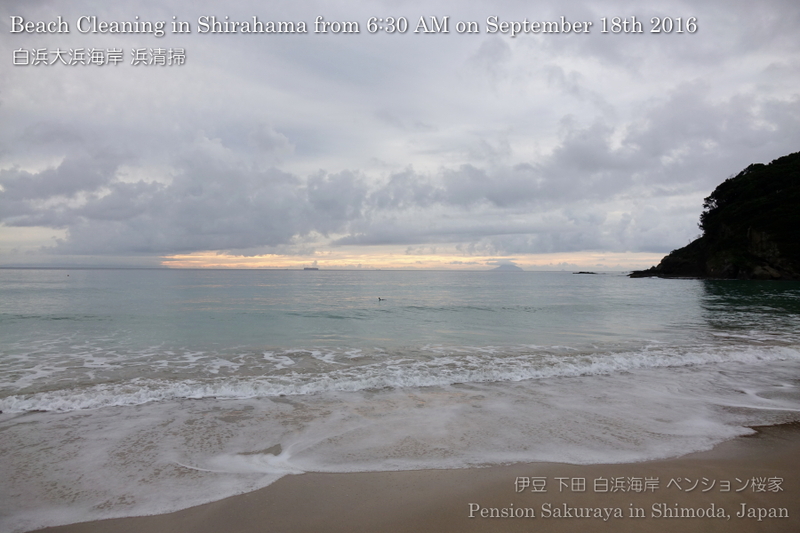 We got a beautiful twilight here in Shirahama this late afternoon. 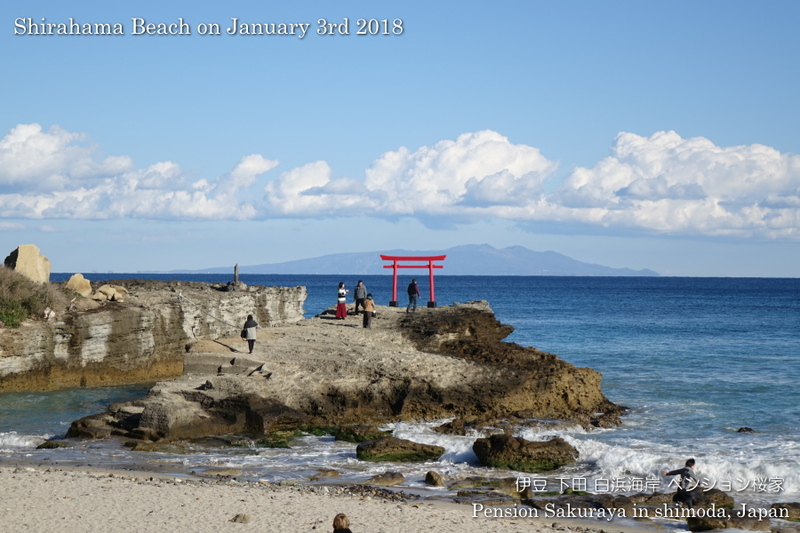 This entry was posted in beach, Family, tradition on 2019年1月3日 by izusakuraya. 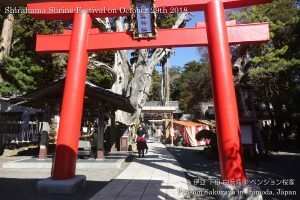 Shirahama shrine festival is taking place until tomorrow. 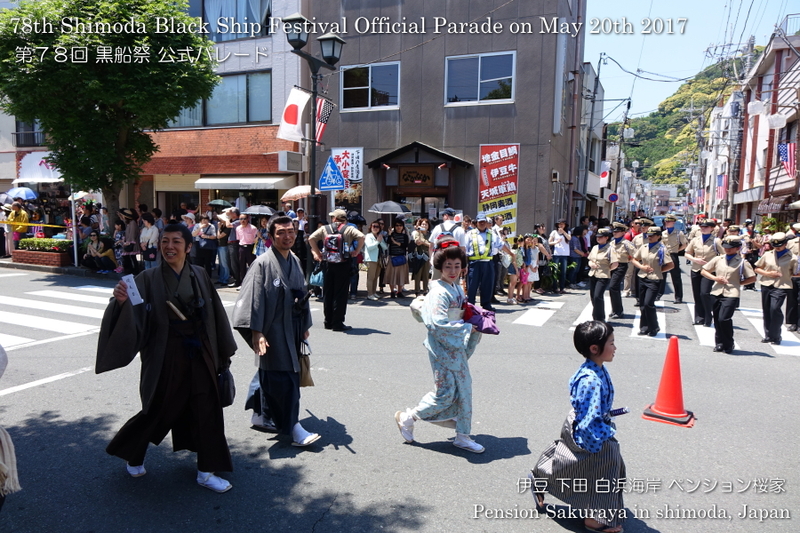 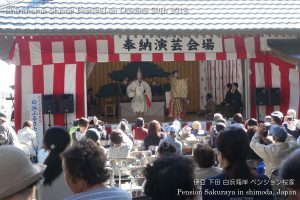 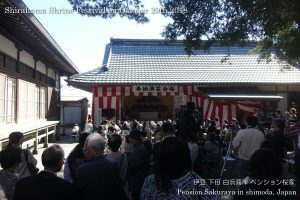 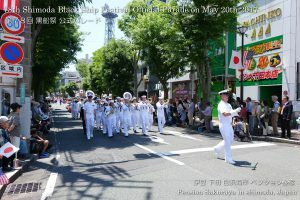 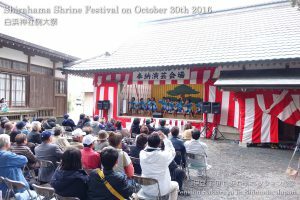 I went to the shrine to participate this festival and sung two songs on the stage. 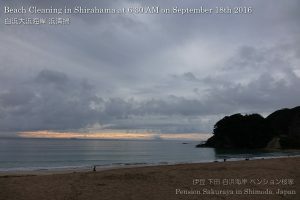 This entry was posted in tradition, Travel on 2018年10月29日 by izusakuraya. 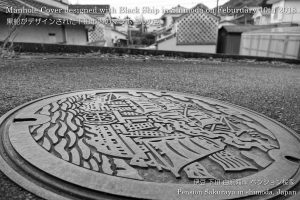 If you walk in the city of Shimoda, you should see under your feet. 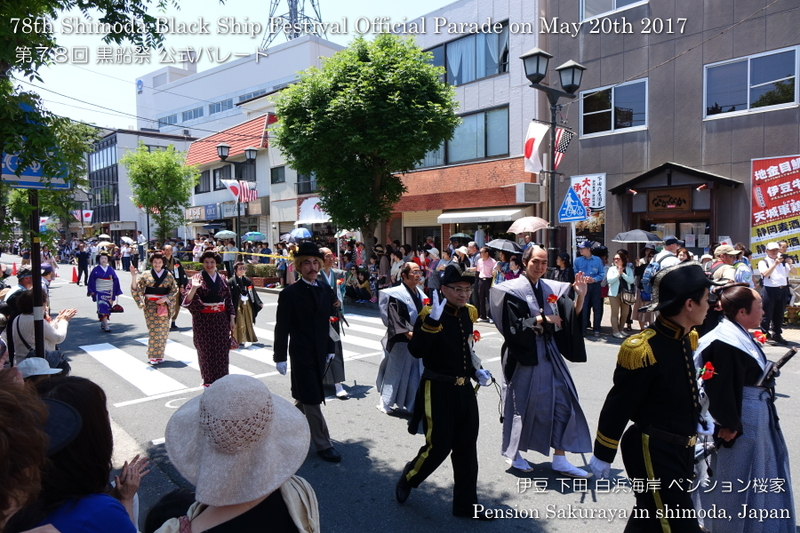 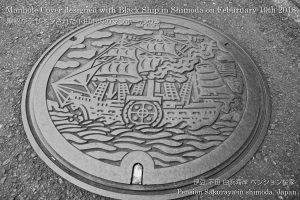 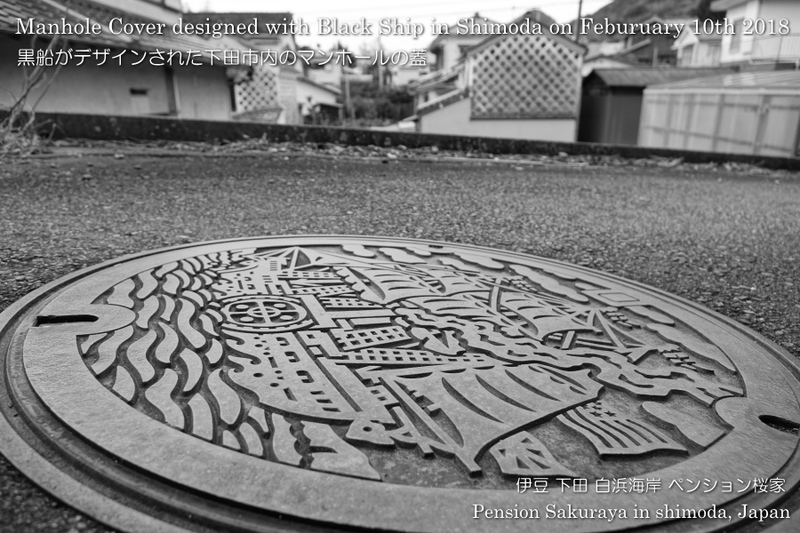 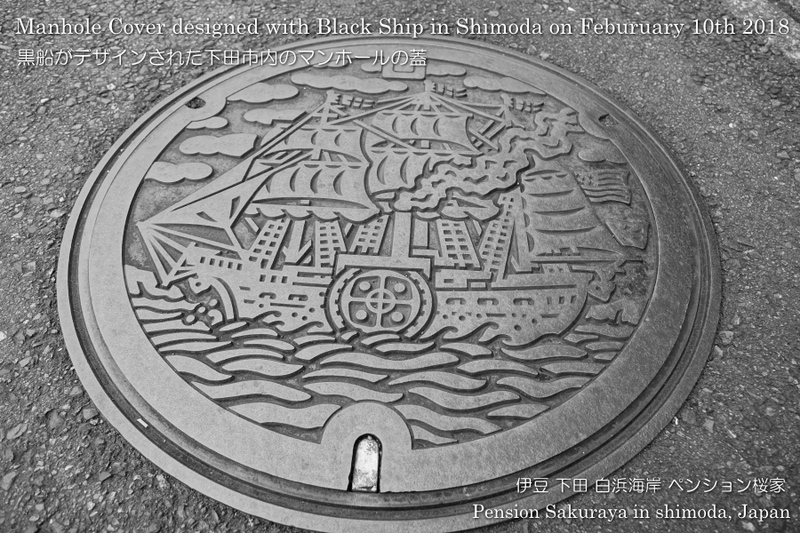 Every manhole in Shimoda is designed with Black ship. 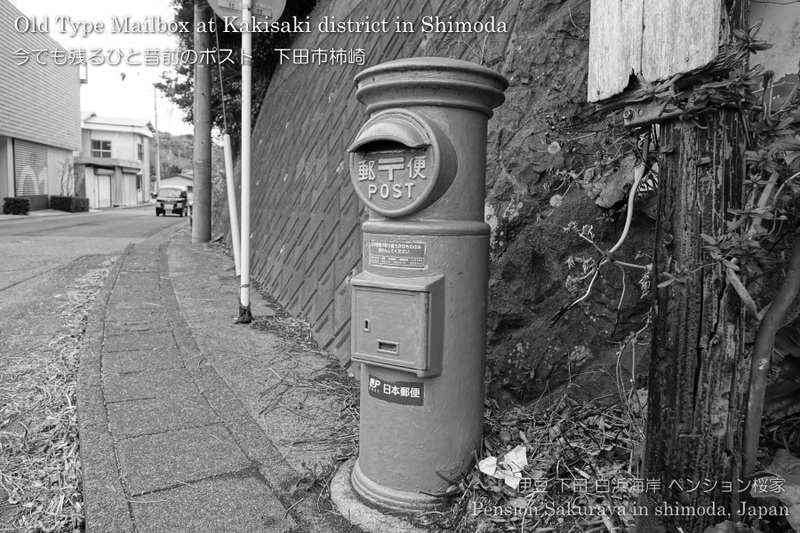 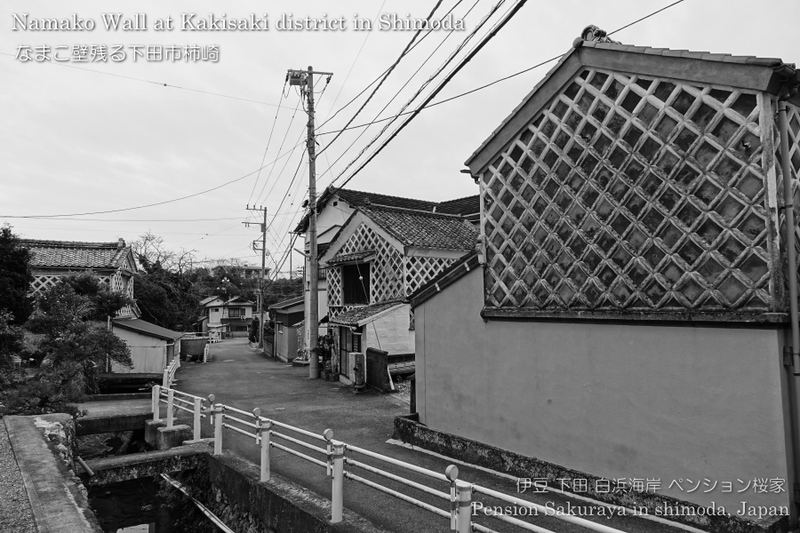 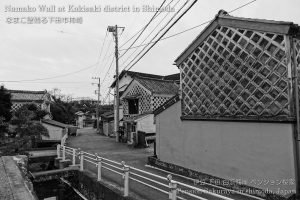 And you are able to find out the old type mailbox and Namako wall of warehouse at many places in Shimoda. 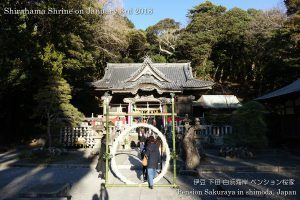 This entry was posted in tradition, Travel on 2018年2月10日 by izusakuraya. My family and I went to the nearest shrine “Shirahama Shrine” on January 3rd after busy days. 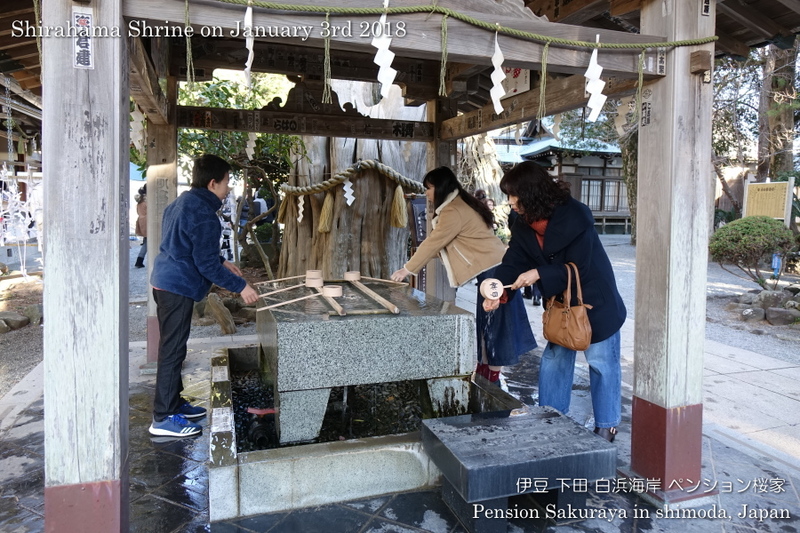 Most of Japanese go to shrine at the beginning of new year to pray for good health and happiness. 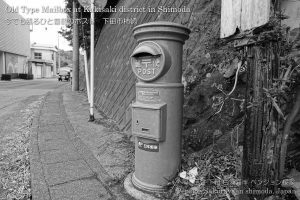 It calls “Hatsumoude” in Japanese. 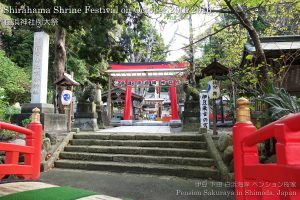 This shrine is very famous for its long history more than 2,600 years. 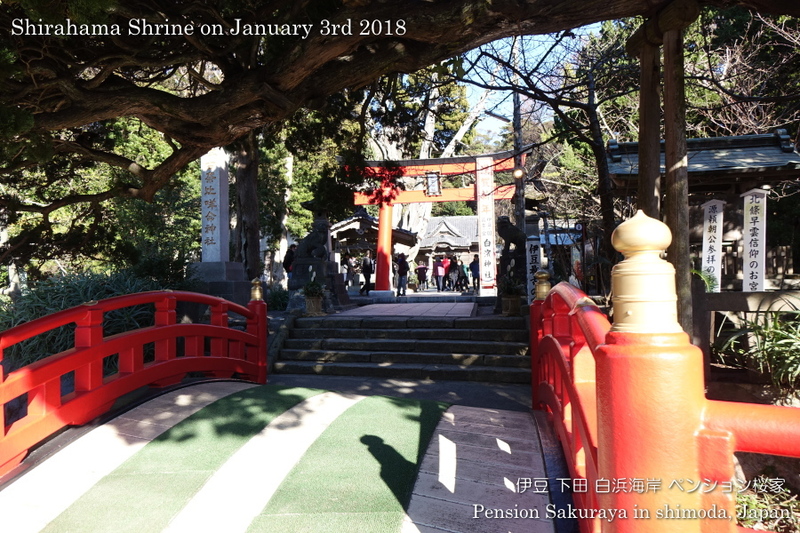 That’s why this place always is crowded with a looooot of visitors in the morning on January 1st. 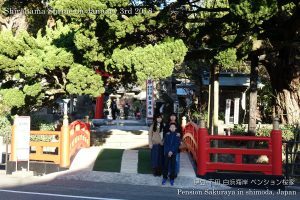 This entry was posted in Family, tradition, Travel on 2018年1月3日 by izusakuraya. 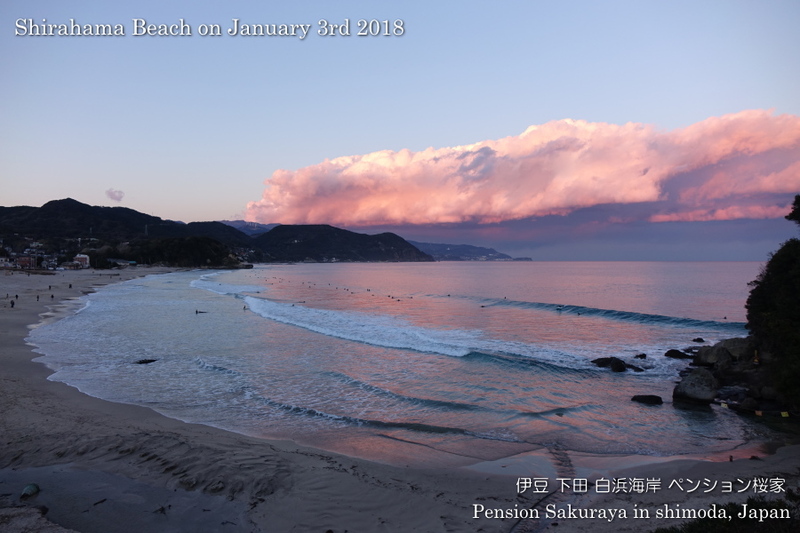 I took this picture when I came back from Shimoda this early evening. 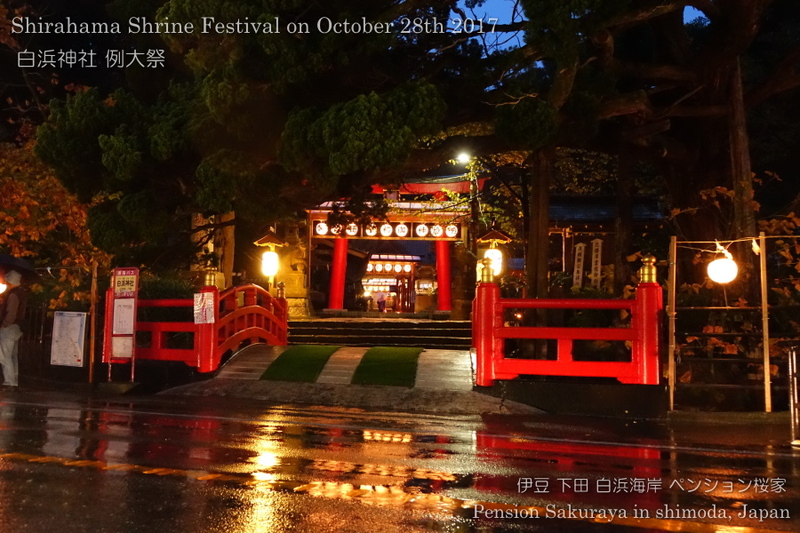 We have Shirahama shrine festival this weekend, but unfortunately it would be rain by typhoon today and tomorrow. 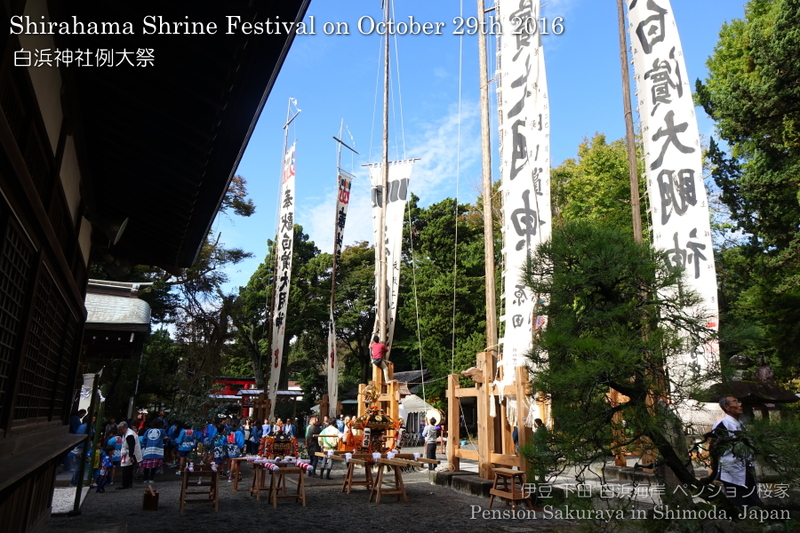 This entry was posted in tradition, Travel on 2017年10月28日 by izusakuraya. 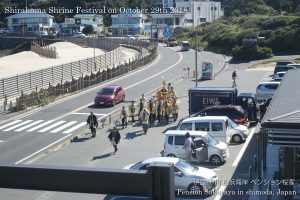 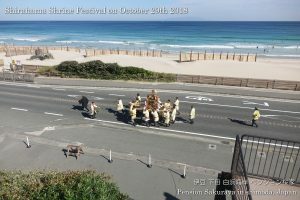 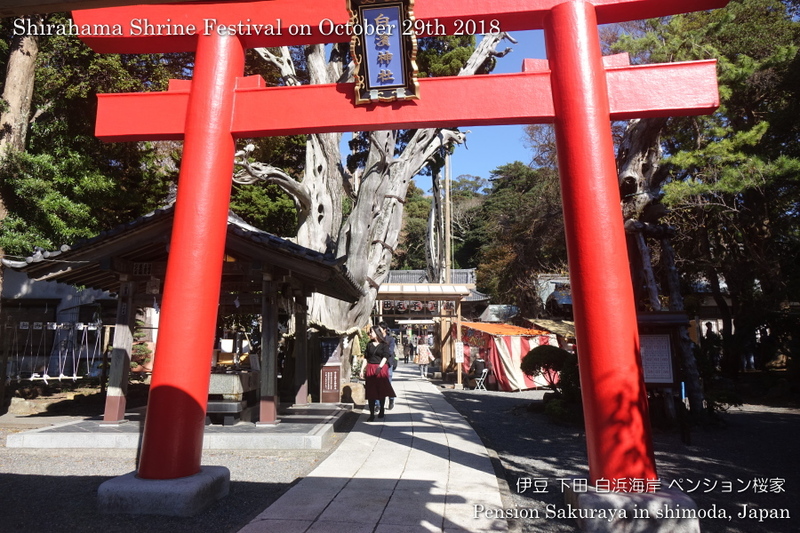 The festival of Shirahama shrine which has a rich history of more than 2,400 years was held for 3 days from October 28th. 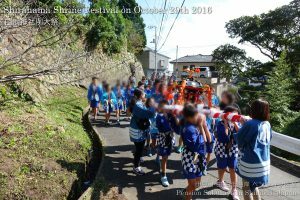 And it was the last time for my son to participate as a member of Kodomo Mikoshi (portable shrine carried by children). 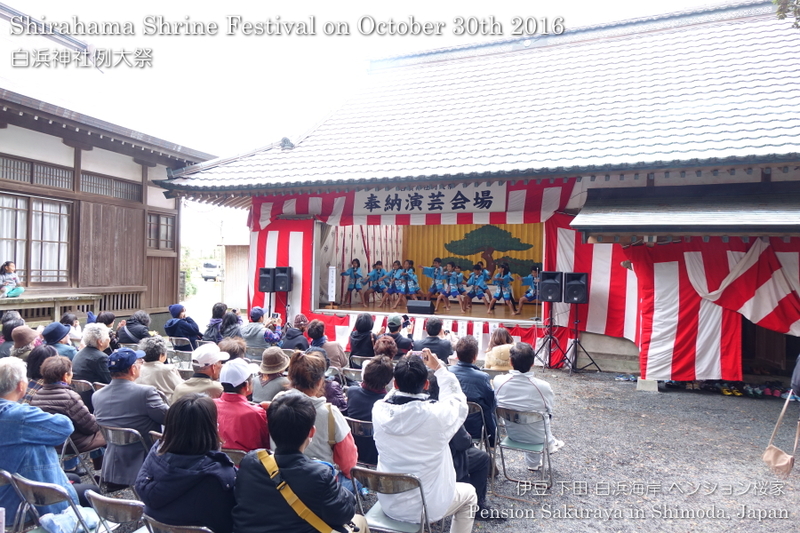 My son and his friends participated the stage performance and showed us dancing on October 30th. 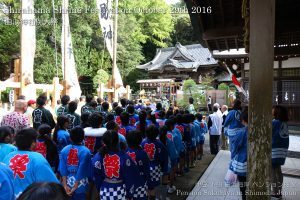 You can see the other photos on our Facebook album. 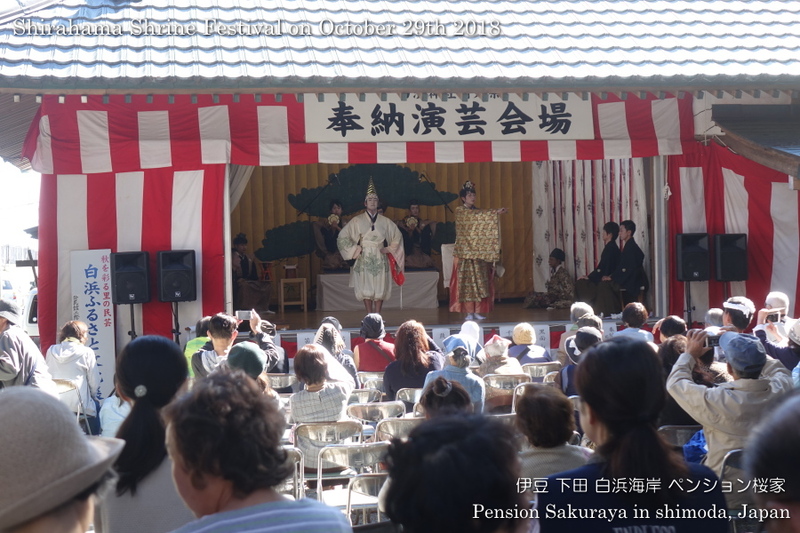 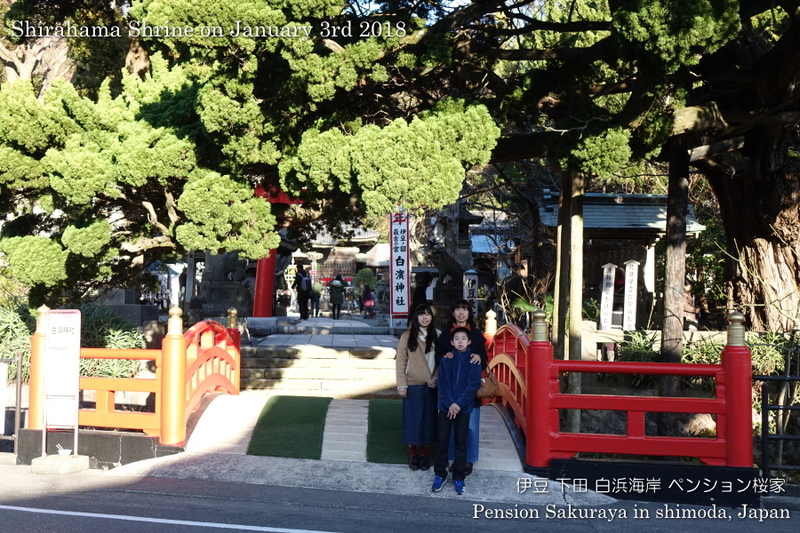 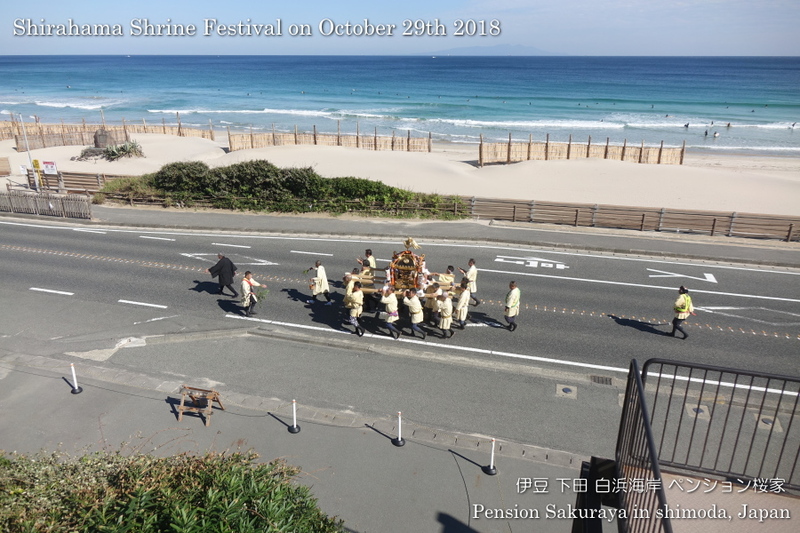 This entry was posted in Family, Pension Sakuraya, tradition on 2016年10月31日 by izusakuraya. 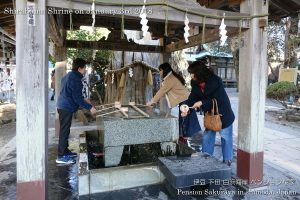 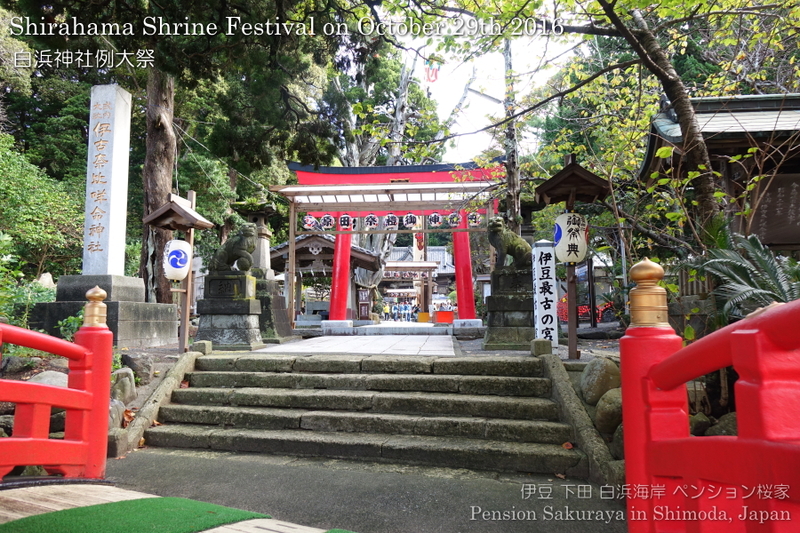 There is a shrine called “Shirahama Shrine”, 7 or 8 minutes walking from Pension Sakuraya. 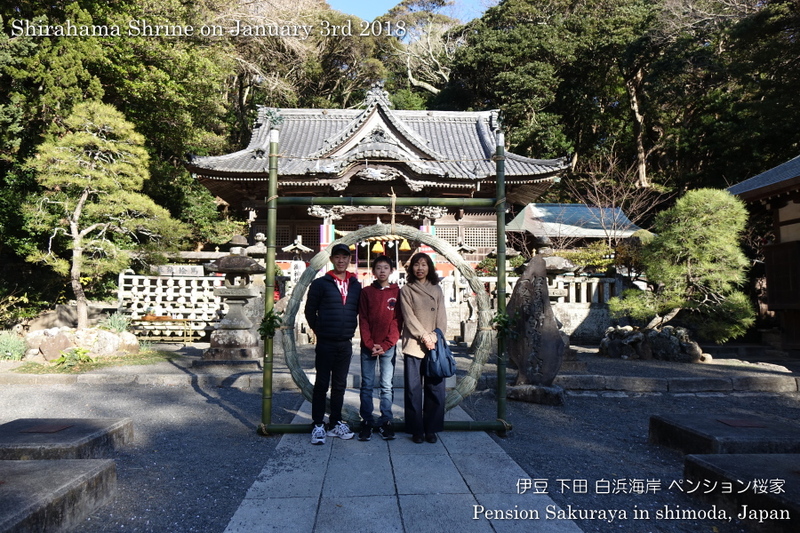 They have a long history more than 2,400 years, so this shrine is the oldest one in Izu peninsula. They have a festival for 3 days at the end of October every year, and it was started today. 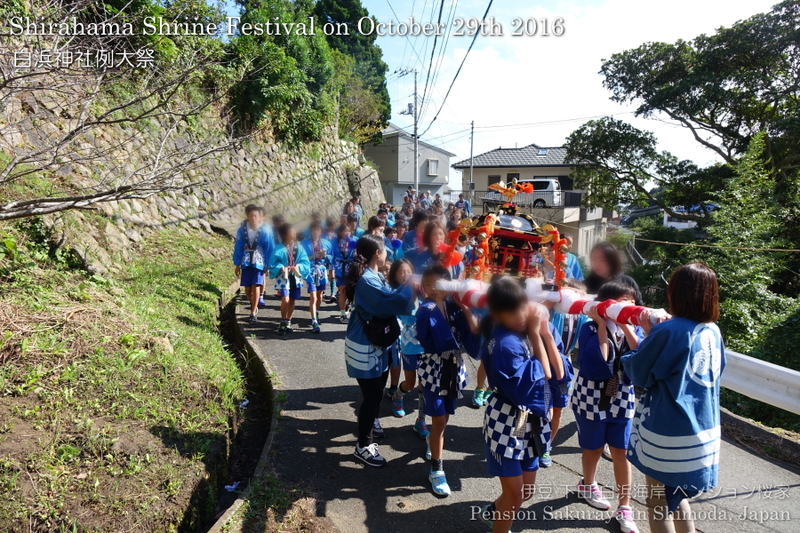 A lot of residents participate this festival, and of course the children as well. 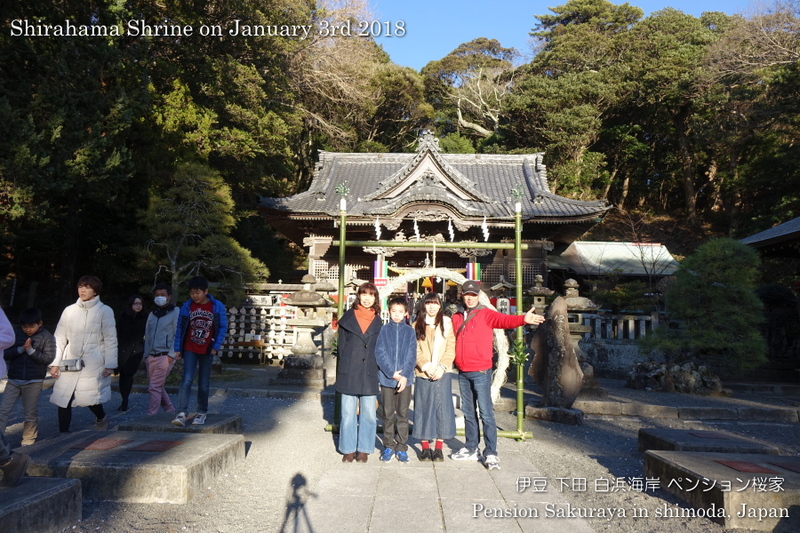 My son helped to carry the small shrine with his friends. He is now the last grade of primary school, so it was the last chance for him. 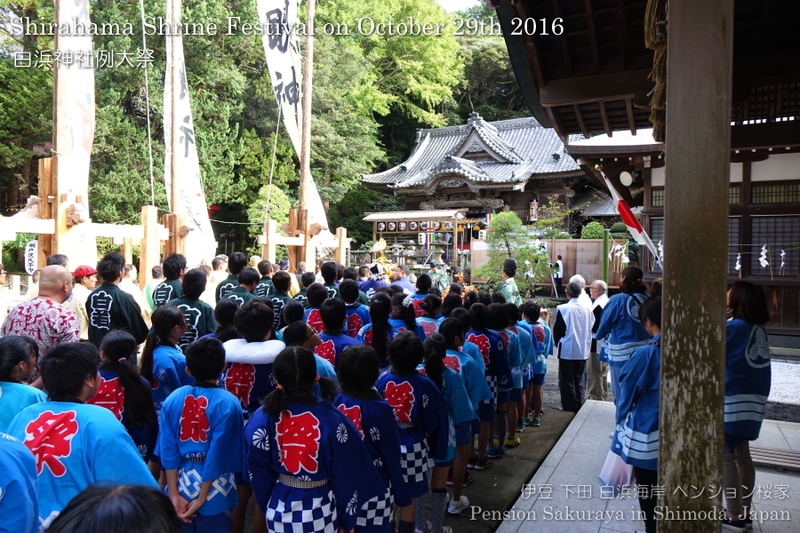 This entry was posted in Family, tradition on 2016年10月29日 by izusakuraya. The local community had the cleaning service from 6:30 AM, and I participated with the residences. 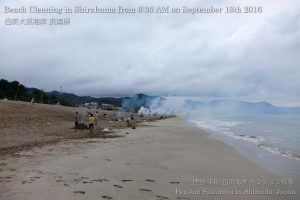 After the cleaning finished I came back home to prepare the breakfast for our customers. 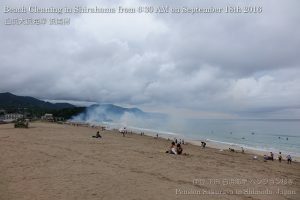 And we cleaned the guest rooms after breakfast and started to prepare the dinner after cleaning. I worked very hard today, so I’m very tired and sleepy….. 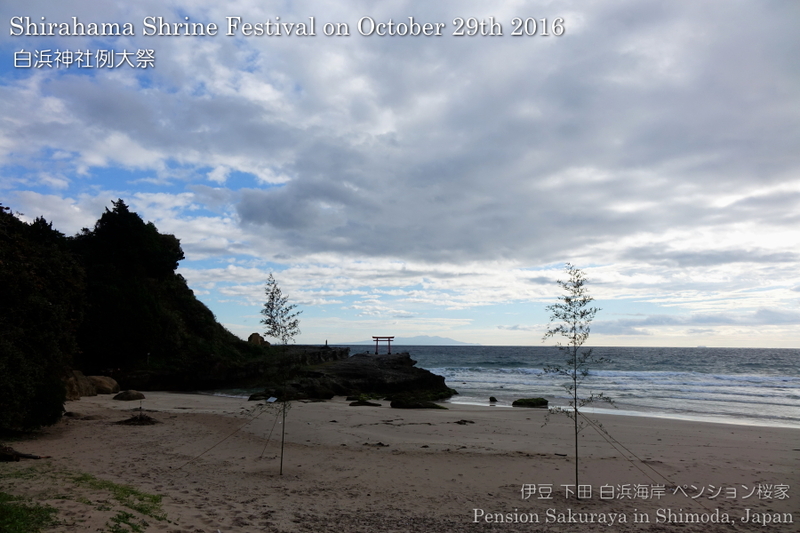 This entry was posted in beach, tradition on 2016年9月18日 by izusakuraya. This is the video of the last 7 minutes of Black Ship Festival Fireworks Display. I’m very sorry, but the displays were a little out of focus….. 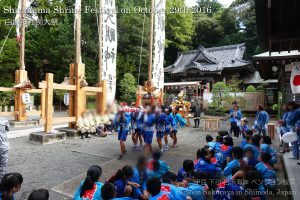 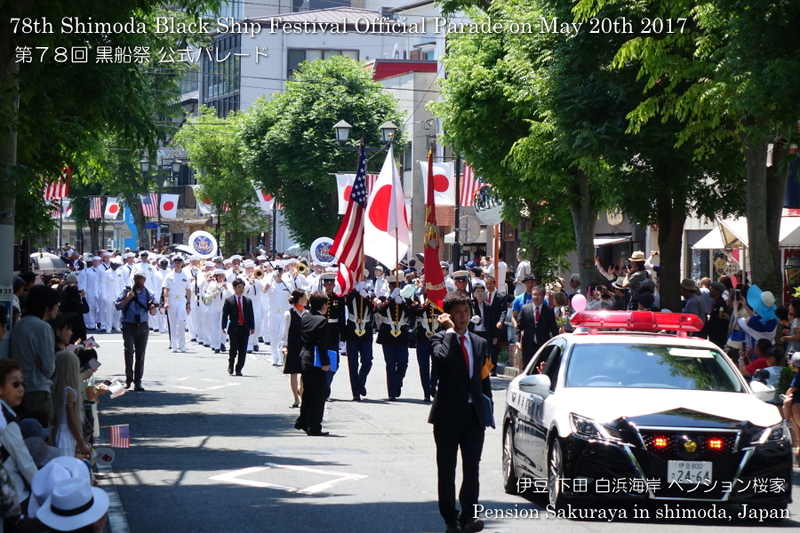 This entry was posted in Family, tradition, Travel on 2016年5月20日 by izusakuraya.